So fresh, so contemporary. Fresh flowers in a pale pink, cube-shaped vase. Who wouldnt love this charming gift? 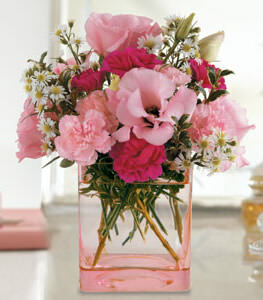 Carnations, Monte Cassino and Lisianthus arranged in a keepsake pink cube vase.